I'd like to introduce you all to another one of our Board Members: Will Wright. Will is a video game designer who's been in the news a lot lately for his new video game Spore. I haven't played it yet, but I heard it's quite a bit of fun. The idea is that you control the evolution of a species from bacteria to space faring civilization. I've had a lot of fun looking at the Spore: Creature Creator contests that have been springing up all over the internet. Many of you will probably know Will better for another video game series that he created: Sim City and the Sims. These games essentially revolutionized the video game industry. I remember playing Sim City in my seventh grade science class, and trying to create a better game than the rest of the kids in my class. And of course, controlling the lives of families in the Sims was like taking "playing house" to the next level. The great thing about Will's games is that while they're fun, there's also an educational component built into all of them. In Spore, you get to explore an understand the concept of evolution, and try to find ways to make sure that the species you create survives. 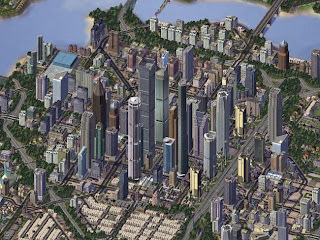 In Sim City, you learned about things like management and multi-tasking. As we're starting to see more and more I think, video games can be more than just entertainment; they can teach us things in a unique and fun way. 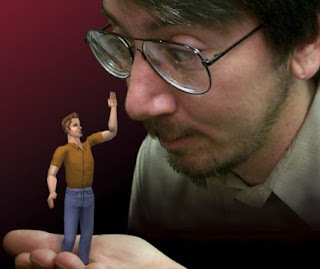 Which games that Will Wright created did/do you play? What are your favorites? What are the best educational video games out there?